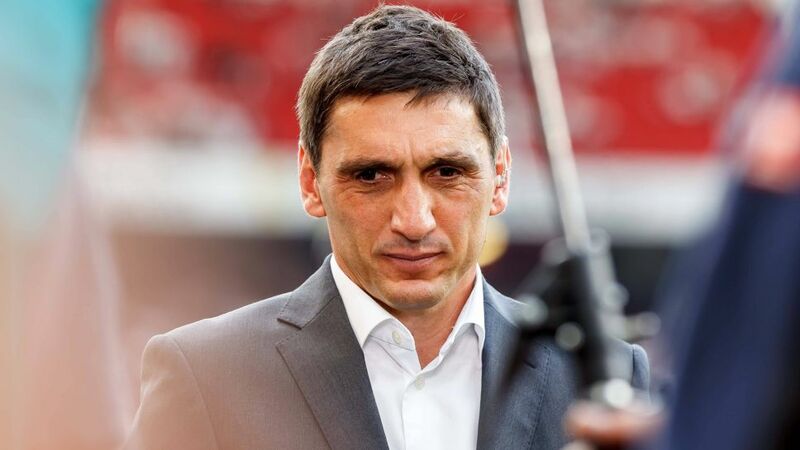 VfB Stuttgart have dismissed head coach Tayfun Korkut and his assistants Ilija Aracic and Steven Cherundolo, following their 3-1 defeat to Hannover. The result leaves Stuttgart bottom of the Bundesliga standings, with just five points from their first seven games of the 2018/19 season. Stuttgart U23s coach Andreas Hinkel has been placed in temporary charge of first-team affairs. "The lack of progress since the start of the new season and the negative results prompted the decision," explained Stuttgart sporting director Michael Reschke. "Tayfun Korkut took over the team in very difficult circumstances last season, and secured our place in the Bundesliga ahead of schedule on the back of a sensational run. For that, we’re very grateful to him and his two assistants Ilija Aracic and Steven Cherundolo." Former Hannover and Bayer Leverkusen coach Korkut arrived at Stuttgart in January 2018, and lifted the team from the lower echelons of the Bundesliga to a respectable seventh-placed finish, only narrowly missing out on qualification for the UEFA Europa League. Under his guidance, the 2007 champions won nine, drew four and lost only one match, scoring 31 goals. Stuttgart made a dismal start to 2018/19, however. After losing to Third Division Hansa Rostock in the DFB Cup first round, Die Schwaben had to wait until Matchday 6 to pick up their first win, following defeats to Mainz, Bayern Munich and RB Leipzig, as well as draws with Freiburg and promoted Fortuna Düsseldorf. Victory over Hannover would have seen them rise as high as 10th, but instead they go into the October international break bottom, and without a coach. Stuttgart return to action at home to Bundesliga leaders Borussia Dortmund on 20 October. Click here for more VfB Stuttgart news, views and features!